Kavanaugh Knew About Ramirez Allegation Much Earlier Than He SaysTexts messages from former Yale classmates contradict Kavanaugh’s statements to the Senate Judiciary Committee. Texts May Contradict Kavanaugh Testimony About When He Heard Ramirez AllegationAnother Kavanaugh claim to the Senate appears to have been false. Report: White House Is Controlling Who FBI Interviews in Kavanaugh InvestigationJulie Swetnick, the third woman to accuse the judge of sexual misconduct, is apparently off limits. Julie Swetnick’s Allegations Likely to Finish Off Brett KavanaughThe odds that all these women are lying about Kavanaugh are not high. Trump Just Can’t Stop Himself From Sliming Kavanaugh’s AccusersAt the U.N., the president attacks both Christine Ford and Deborah Ramirez, either going off message or revealing a scorched-earth strategy. Trump Attacks Kavanaugh’s Second Accuser, Saying She ‘Was Drunk,’ ‘Has Nothing’Deborah Ramirez said she had been drunk when Brett Kavanaugh allegedly exposed himself. Now, Trump is trying to use that against her. Two Former Kavanaugh Classmates Withdraw Names From Statement Disputing AccuserFollowing publication of The New Yorker’s story about Deborah Ramirez’s allegations, Yale classmates withdraw their names from letter a of support. 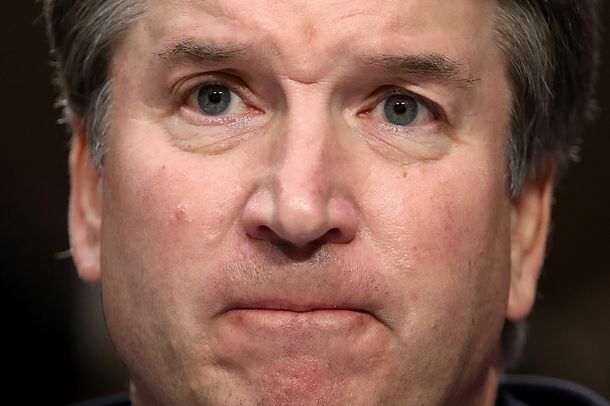 Brett Kavanaugh Is Probably a Goner NowWhy Trump will probably have to find a new Supreme Court justice soon.